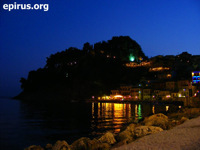 Befor the construction of the sturdy castle of Parga which is still saved, the habitants of Parga preserved their town fortified so as to confront the invaders. 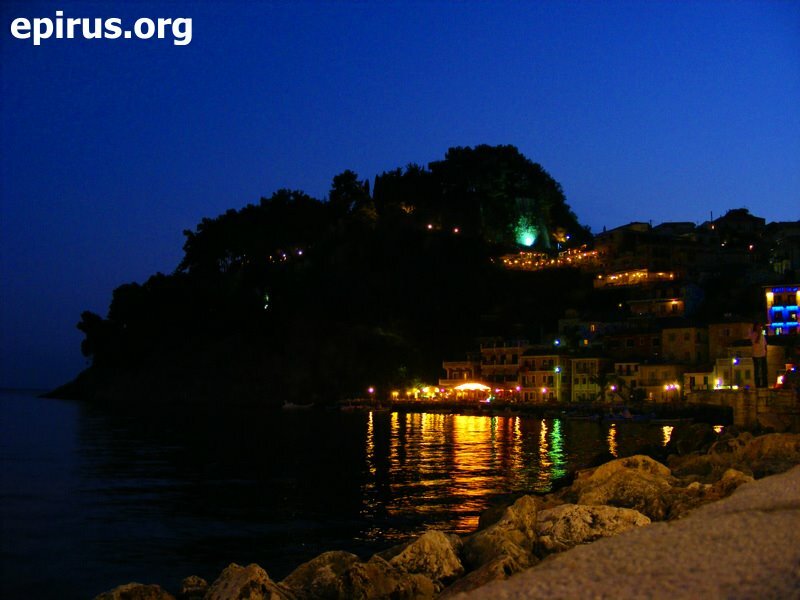 In 1452 Chatzis Beis conquered the fortified location and the habitants of Parga take back their town in 1454. Chairentin Barbarossa demolished the fortress and the town in 1537. Before the castle was complete once again with the help of the Venetians, had been conquered again by the Turks. The Venetians in 1792 built for third and last time a perfect stable fortress. It stayed impregnable until 1819, despite the attacks especially from Ali Passia of Ioannina. The Venetians built the castle with a plan which offered an excellent protection and along with the natural fortificatoion the fortress was indestructible. Outside the castle there were eight towers in different location, which completed the whole fortification of the area. Inside the narrow space of acropolis there were batched 400 houses, in a way so as to occupy a small space and be protected even by the invasions from the sea. 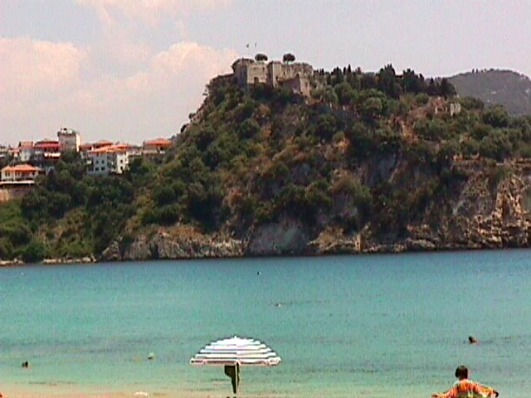 In this castle, free besieged habitants of Parga and Souli fought heroically and preserved their freedom for many centuries. From the fountain “Kremasma” were supplied with water the tanks of the castle and the houses. The castle for its supply used the two moorages: Valtos and Pogonia. When Parga was sold to the Turks, Ali Passia reinforced the castle even more and on his top instated his harem, hamam and reformed radically all the places of the castle. Nowadays the castle is lightened and a big number of tourists visits it every year.